Štrbské Pleso, the highest situated settlement in the Tatras Mountains, offers 9 km of easy to moderately difficult ski runs on the southern slopes of Predné Solisko, which are popular especially with families and advanced skiers. The high altitude of the resort (1360-1825 m) together with snowmaking systems of high quality provides excellent skiing conditions. Skiers are transported by two fast chairlifts, one 3-seat chairlift and two ski lifts. The ski resort High Tatras - Štrbské Pleso allows its visitors to use the services of ski and snowboard rental, ski-servicing and ski schools for beginners. The separately enclosed children's area Maxiland has its own ski lift and rope tow. Use the high quality services offered by this specific resort of peaceful and harmonious nature to its visitors. Štrbské Pleso attracts skiers with its excellent skiing conditions, great tracks for slalom, downhill or cross-country skiing and services of high standard. 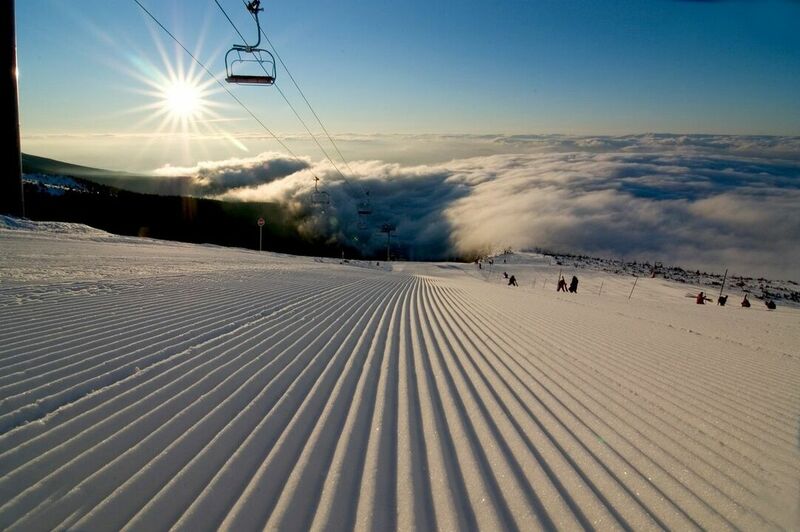 Skiers will enjoy more than 2 km of new ski runs with artificial snow and trails for cross-country skiing. Lovers of adrenaline can visit the attractive snow park. Štrbské Pleso is the highest located ski resort in Slovakia and rich history and luxury hotels are part of its magical atmosphere. Cross-country skiing at Štrbské Pleso has a long history - Cross-country skiing World Championships were held here as early as in 1976, between 1987 and 1999 there was the Winter Universiade. Thanks to the high altitude of the trails (about 1400 m) there are very good snow conditions. Cross-country trails are divided into 11 routes with a total length of 26 km. Grooming of the trails takes place daily for classic-style and skating-style skiing. The ski pass purchased at the resort is also valid in Starý Smokovec and Tatranská Lomnica.